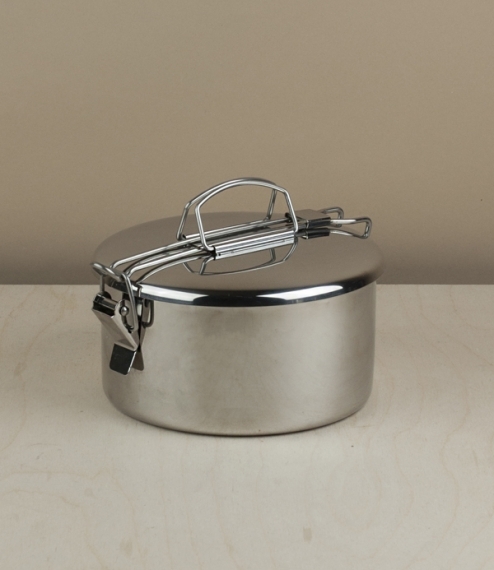 A stainless steel carrying pot, with tray insert. 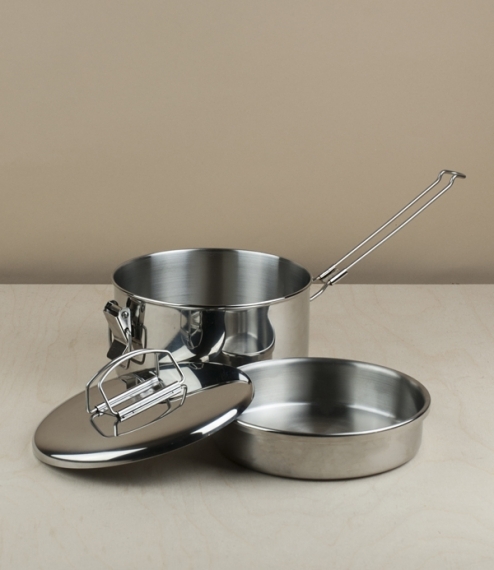 The closure doubles as a pan handle when in use as a pan, and the tray insert allows for separation of lunch items. 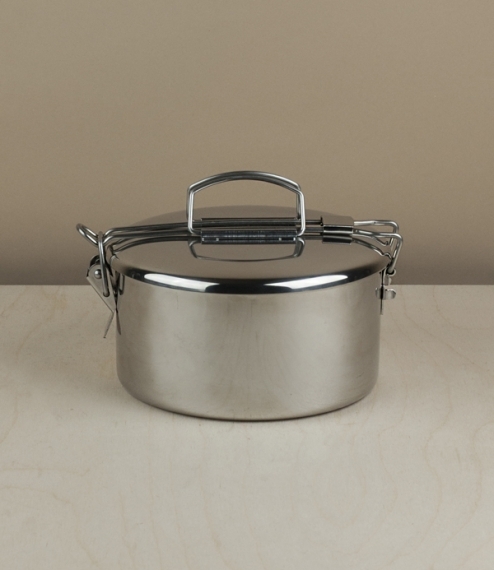 The pinto, or tiffin food carrier is common throughout Asia as containers of both home cooked and restaurant lunches they allow separate dishes to be transported together without mixing, very useful if not making sandwiches or hoping to minimise waste wrapping even if you do. 14cm diameter.